The healthcare field is one of the fastest growing, rapidly evolving industries in the country. In order to stay competitive, it is important to have a partner that helps you stay up to date with the latest governmental regulations, as well as gives your business an edge by instituting the latest technologies, saving you time, money, and headache. With over a decade of service to the healthcare field and over 2,500 clients, SALIX is the right partner for your practice or hospital. SALIX Brings the Medical Office into the 21st Century. 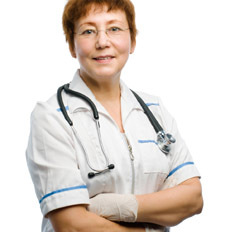 Managing information in a physician’s office, hospital or clinic is an enormous undertaking. Every detail from lab reports, insurance claims, records releases, consent forms and more must be handled with extreme care and confidentiality. Your document management system must not only be up to the challenge, but it must provide the instant access to records that ensures busy medical staff and physicians quickly receive the information they need to serve patients. 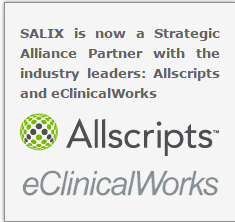 SALIX provides the information access you need to serve patients well. All of a patient’s medical records are kept together in a single electronic repository of information about the case – letters from other physicians, x-rays, medical charts, patient correspondence and other items. Our solutions are compatible with a wide variety of software applications you may now be using so integration of existing files and documents is easy. This centralized system is accessible by everyone involved in treating the patient. Even records for patients not seen in years can be easily and quickly retrieved from archives. It’s light years ahead of storing old records in boxes in the clinic basement. Best of all, because of the identifiers used in establishing the electronic file, a patient’s record can never be lost. When you minimize paper-based activity and begin to work within an all digital environment, you’ll start to trim overhead costs by reducing your reliance on paper, streamline workflow, protect patient records with strict user-control, and provide the first step to an easy transition to electronic medical records (EMR). Promote compliance with HIPAA and other regulations while also accelerating billing and collection cycles.